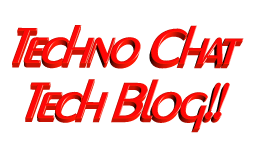 Disk Space Usage Trend Analysis | Techno Chat|Tech Blog!! It is always recommended to keep tracking of the disk space utilization for you servers. This will help us to get the idea of our future requirement. There are multiple tools available for track this but you have to pay for most of them. Recently I also had similar kind of requirement and I was asked to provide the free solution for this. There are some free tools available but all of them having some short of limitation, and also for security reason, it is not recommended to install any free tools on the server. So, I had to look for some alternatives, and I thought why we dont use the PowerShell to get the disk space utilization details daily and kept it in MS Access database using Microsoft Access Database Engine 2010, which is available for free. Local Admin privilege to target windows systems. First you have to download and install MS Access Database Engine. Once the installation complete, you have to create a blank database with a table name DiskUtilization which will have following field. If you do not have MS Access installed, then you could also download and use the following blank database for Disk Utilization. Posted in Admin Tools, Scripts, Server, Windows. Tagged CPU Utilization via PowerShell, Disk Space Analysis Server, Disk space trending, Disk Space Usage Trend Analysis, Disk Usage Summary, Disk Utilization via PowerShell, disk utilization windows, Free CPU Utilization, Free Disk Utilization Tool, Free Memory Utilization, get-wmiobject, get-wmiobject timeout, GWMI Query hangs, Historical Disk Space Usage, historical disk usage, Memory Utilization via PowerShell. Linux is free only if your time is worthless.